It’s not like any of us need yet another reason to eat more delicious avocado toast, but just in case you do, we have some good news: A study published in the Journal of Clinical Investigation found that potassium, a mineral prevalent in both avocados and bananas, may prevent and help treat heart disease, the No. 1 killer in the United States. Awesome! One of the major risk factors of cardiovascular disease is a stiffening of the arteries, often caused by high cholesterol levels. So researchers from the University of Alabama wanted to figure out if potassium, which is classified as an electrolyte, could help in keeping arteries flexible. And, yes, it did — in the bodies of mice, at least. Researchers tested their hypothesis using mice engineered to be prone to heart disease when fed a high-fat diet. They divided the mice into three different groups that were fed low, normal or high levels of dietary potassium. After scanning the mice’s hearts, they determined the group fed the least amount of potassium had harder arteries and increased stiffness in their aortas compared to those on the potassium-rich diet. When viewed under the microscope, they also noticed that the high-potassium-diet mice had less constricted arteries. 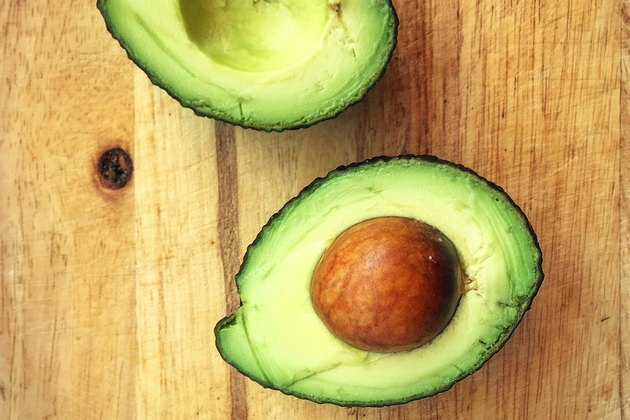 But there are many other proven benefits to eating avocados. In addition to an abundance of potassium (a one-cup serving contains 729 milligrams, which is 15 percent of the recommended daily intake), they are high in heart-healthy unsaturated fat, which helps reduce your blood cholesterol levels. They are also packed with an abundance of vitamins and minerals that support healthy nerve function and are good sources of vitamins K and B-9 (aka folate), which benefit your blood cell function. Their biggest downfall is that they aren’t exactly a low-calorie food, at 240 calories and 22 grams of fat for a single serving. Avocados can also be surprisingly dangerous if you’re not careful — so brush up on your knife skills and re-create the avocado art everyone is obsessed with. Bananas are lower in calories than avocados (about 121 per large banana), offering 487 milligrams potassium (10.4 percent of the daily recommended intake). They are also good sources of fiber, a rich source of the antioxidant vitamin C and provide 38 percent of the recommended dietary allowance of disease-fighting B-6. So even if this study doesn’t translate to humans, it’s not a terrible idea to eat both in moderation. And if bananas and avocados aren’t your thing, but you are still interested in upping your potassium levels, here is a list of other potassium-rich foods. Are you surprised by the findings of this study? Do you consume enough foods that are high in potassium? Which is your favorite?